Far from the trauma of a mid-life crisis, BMW’s M (for Motorsport) division is proudly celebrating four decades of high-performance road and racing cars wearing the now famous single letter badge. Kicking off in 1972, with 35 employees under the leadership of ex-Porsche works driver and Ford Racing Manager Jochen Neerpasch, BMW Motorsport began with a pure competition focus, that soon spilled over into production of powerful, finely-tuned road cars like the M5 of 1974, and the exotic mid-engined M1 supercar of 1978. Through the ‘80s BMW M coaxed an extraordinary 1400hp (in qualifying trim) from a 1.5-litre, four cylinder turbo Formula One engine, based on a humble road-going powerplant. It went on to win the world championship, powering Nelson Piquet’s Brabham to the driver’s title in 1983. 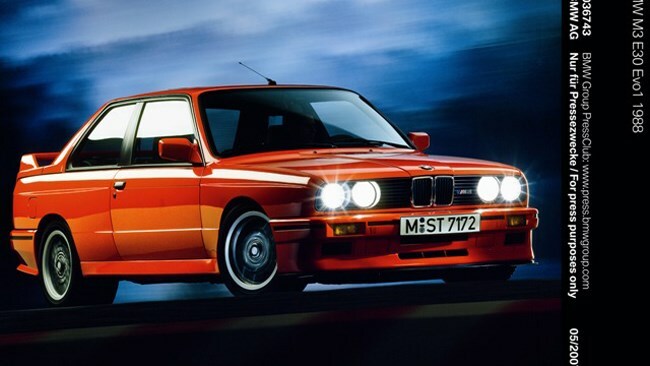 In 1986, arguably the most iconic BMW M car of all, the M3 made its debut; originally in four cylinder form, and later in screaming in-line six and storming V8 versions. A range of other exceptional cars, such as V8 and V10-powered M5s, Z3 and Z4 coupes, as well as pumped up versions of the X5 and X6 SUV’s have since brought the M division to even greater prominence and popularity.